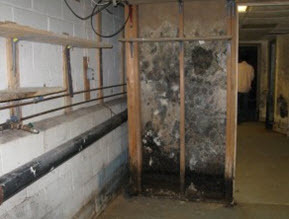 Most mold problems in businesses and homes are small. But if they’re ignored, and the water problems that cause them, the damage can be pretty severe. How bad can a mold problem get? Take a look and see! A gallery of some of our favorite photos from jobs we’ve done and people we’ve helped the last 10 years! Warning: the “yuch factor” is pretty high on this one! You might have a mold problem if . . .
you see mushrooms growing on top of mold like it did in this Sewell, NJ home after storm damage flooded the basement. 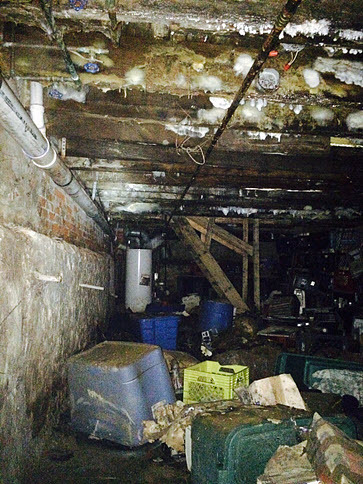 Eerily beautiful fungus growing in this Burlington, NJ basement after heavy rains caused flooding. 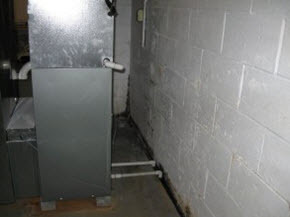 A mold problem happens after a basement flood in Trevose, PA if it’s not dried properly. You can see how high the water was during the flood. No, those aren’t cobwebs. That’s mold hanging from the ceiling. 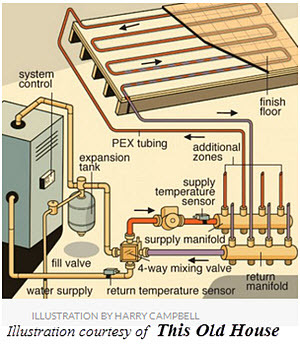 A foreclosed home in North Philadelphia had a water loss that went unnoticed for too long by the bank. 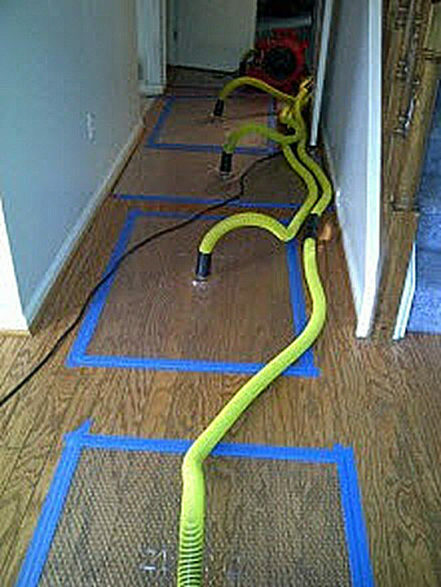 These homeowners in Voorhees, NJ found out the hard way that hardwood floors do indeed grow mold. 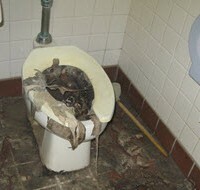 This could have been prevented if the water loss had been dried fast enough! This picture is not out of focus. That gooey substance is mold growing from basement rafters after a water heater burst in a South Philadelphia basement and was ignored for 3 months by the tenants. 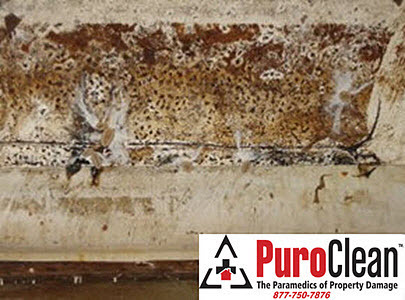 Mold growth on the walls in this Medford, NJ basement. Normally, mold won’t grow on cinderblock if it’s clean. 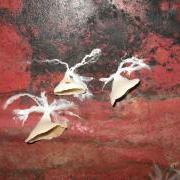 But, it can happen if there’s organic material like dust and a steady source of moisture to feed it. 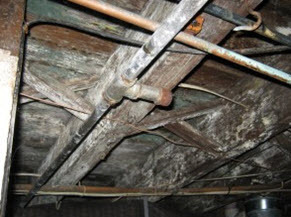 Mold grows on the wood as well as the copper pipes in this Cherry Hill, NJ basement. At least this family now knows why they have been getting sick! 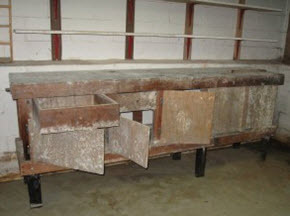 A basement workbench gone bad with mold in this Ardmore, PA home after the resident had passed away. 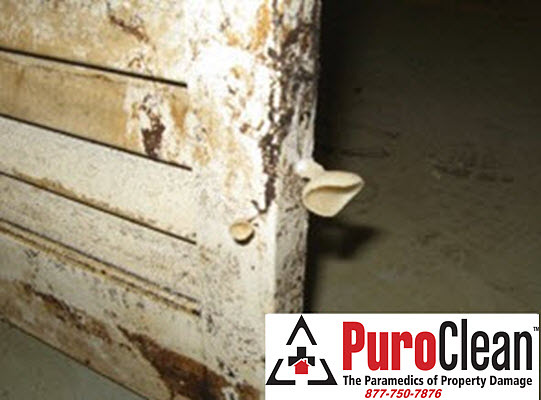 Not just a mold problem. This is a biohazard times four! 4 different species of fungus are competing for the same moisture and organic material for food. 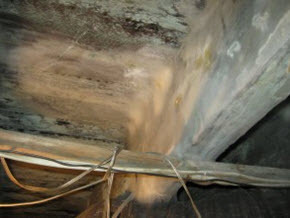 Several species of basement mold from neglected water damage. 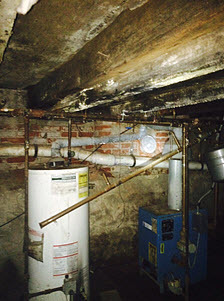 Basement mold growth in Moorestown, NJ after a hot water heater burst. 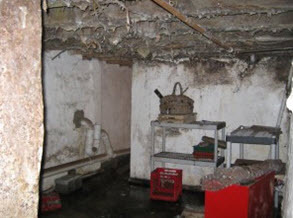 The moral of this visual story is: water damage, whether it’s from leaking pipes, toilet overflows, burst water heaters, or flooding from storm damage, can cause a mold problem to your home or business if it’s not dried fast enough! For the people who owned these properties in the Greater Philadelphia region, unnoticed or ignored water damage caused the mold problem. 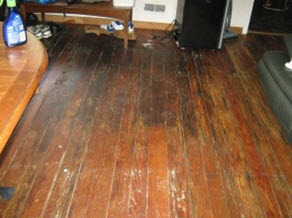 Sometimes it was neglect from landlords or tenants. Sometimes it was due to a death in the family. But, for whatever the reason, don’t let this be you! 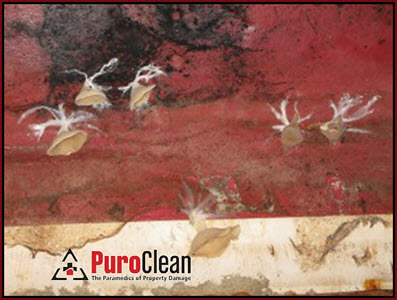 Lucky for you, you know PuroClean Emergency Recovery Services! 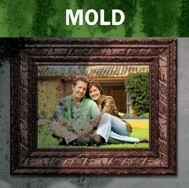 We prevent mold growth! 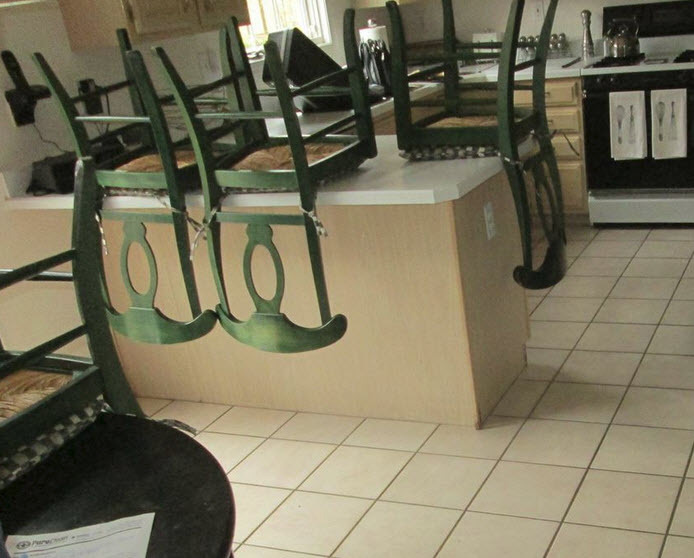 We provide full service water damage restoration including cleaning, drying, and sanitizing your property after water damage before the mold can grow. 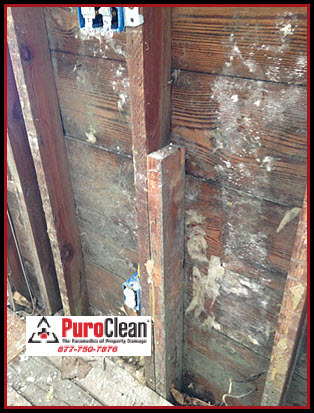 But if you didn’t correct water damage problem fast enough, and mold is growing, we remove it for you safely. And, with our Infrared technology, we even help you find where the water is coming from so you can prevent the mold from coming back! 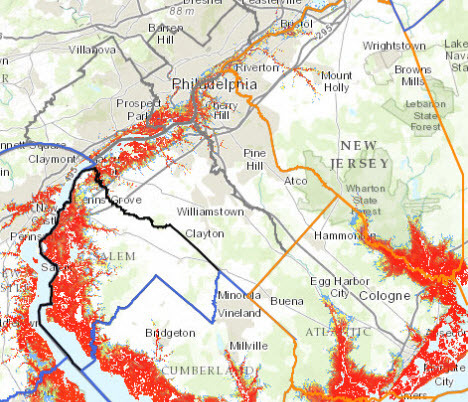 So, if you, or someone you know in the Greater Philadelphia or Southern New Jersey region has found water damage or a mold problem, don’t wait! Call 877-750-7876. But can we save the floors?